Say Hello to Our New Quality Manager from Ericsson! A few months ago, we expanded Compotech into the Benelux region, we did also present our new CEO about the same time. Now we´re expanding our comprehensive quality work! We already have an established quality organisation working on-site in Asia, and now we are strengthening our headquarters with an experienced quality manager. 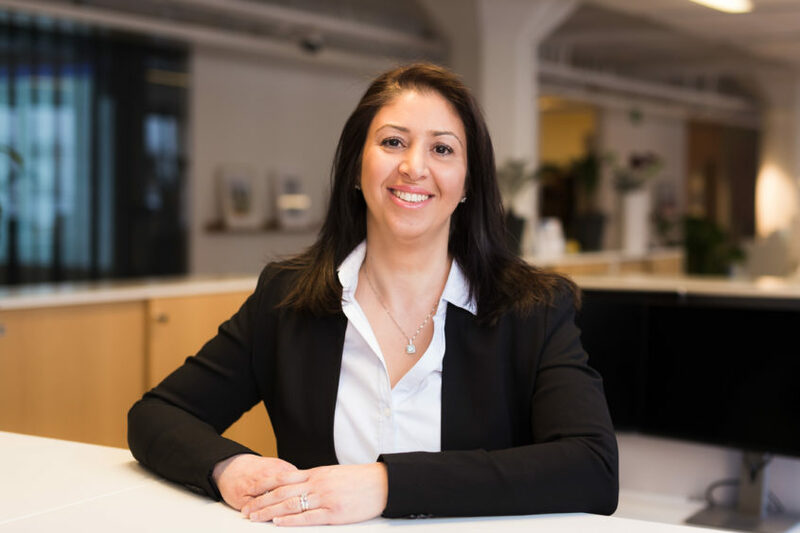 Rashin Kabiri has, among other things, been responsible for quality assurance at Ericsson and Sony Ericsson, and she holds a master’s degree in Mathematical Statistics from Stockholm University. This recruitment gives us unique skills to further develop our suppliers and ourselves. Rashin will focus on collaborating with customers and suppliers through proactive quality activities. Welcome to Compotech, Rashin! Briefly tell us about your experiences from previous workplaces. – I worked at Sony Ericsson for four years. It was a great place to work at, learning their high demands on quality, both externally and internally. My first position was as a Supplier Quality Engineer, before I became an Industrialization Project Quality Manager. I learned about the importance of having clearly defined processes and traceability in production and the daily work, says Rashin. After Sony Ericsson, I moved on to Ericsson, where I worked for seven years as a Verification and Quality Leader. What will you contribute at Compotech? – Having a good and open communication with our suppliers is truly important, in order to convey customers’ and Compotech’s quality requirements. I’m responsible for increasing the quality awareness. Through our supplier development program, we aim to bring about a higher level of process control and a better understanding of what is important for our customers. The customer’s benefit will be better and more robust products, more reliable delivery times, and improved control over the entire supply chain. These are the things that have become more and more important now when we no longer only sell components, but also develop complex solutions for our customers. Our project model includes quality activities right from the feasibility study phase. Can you tell us more about it? – I’m part of the engineering team here at Compotech, that are responsible for developing complex solutions. I am involved from the project start and work with the team and the customer, going through the specification. Our project model helps us to understand customer requirements and how to involve all necessary resources, both internally at the customer and externally through us, to be more efficient and to reduce lead times. This is a way of working I am used with from Ericsson and Sony Ericsson, so I know that it is a proven and effective method. Last but not least, why did you choose to come work for us? – I found it very exciting that quality and processes are something that permeates our entire way of working here. And I look forward to develop our processes even more and take the company to the next level, says Rashin. Rashin is also a part of Compotech’s quality team, working on-site from Stockholm as well as Shenzhen and Shanghai. Together they carry out regular on-site audits at suppliers and sometime even accompanied by customers. Rashin Kabiri started her position at Compotech February 1, 2017. TOFgard: Evolution in elevator door safeguarding! We have taken on the most daunting challenges faced by the Nordic manufacturing sector for 25 years. Regardless of whether we are delivering components directly from our warehouse or involved in product development work, our vision has always been to provide more than anyone would ever expect.